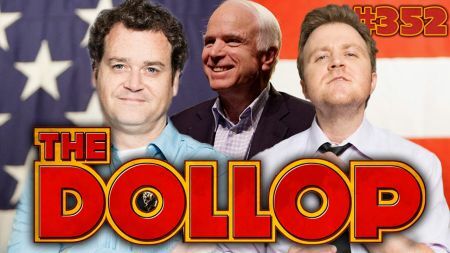 Comedian and history enthusiast Dave Anthony is taking the Dollop podcast out on the road with co-host Gareth Reynolds once more to delight fans with history combined with wild tellings of the past. The hit podcast kicks off its 2018 and 2019 run in Royal Oak, Michigan on Nov. 30 (Tickets) and will run through Feb. 9 where the podcast tour concludes in Atlanta, Georgia (Tickets). Since beginning the podcast in 2014, Anthony's initial idea was to write history stories not well known and present them to a different comedian each week hoping for expressive reactions. However, when the podcast kicked off with Reynolds, fans became so enamored that they insisted Reynolds remain the co-host and he has been since then. The Dollop podcast tour has reached Canada and Australia as well with stories pertaining to the respective country. Fans can expect additional guests on tour and perhaps a reverse reading by Reynolds instead of Anthony telling stories.